Some of Africa’s most renowned artists will perform at the London leg of One Africa Music Fest. The debut edition of the African music festival was held at the 19,000 capacity Barclays Centre in New York, while the second leg took place at Toyota Center, Houston, Texas. Wizkid, Dbanj, Jidenna, Flavour and Femi Kuti are some of the artistes who have performed on the One Africa Music Fest stage. 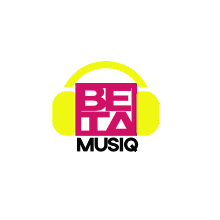 Foreign stars also make a habit of attending the concert, with the likes of Swizz Beatz, Wale, DJ Ebro, Lil Mama, Angela Simmons, having been spotted in the audience. 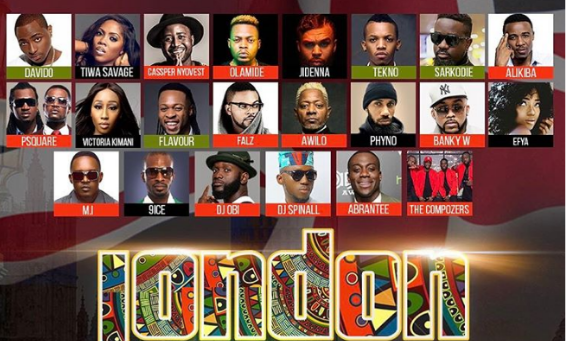 “The London extravaganza on 13th May, with the weight of Global Radio’s Capital Xtra, will be the first Afrobeats event of this magnitude in Europe,” said a statement by the organisers. 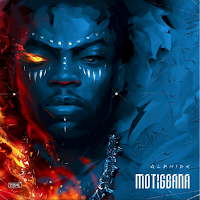 The confirmed lineup of artistes are Davido, Tekno, P-Square, Tiwa Savage, Olamide, Cassper Nyovest, Alikiba, Flavour N’abania, Phyno, M.I, Sakodie, Timaya, 9ice, Efya, Awilo Longomba, Falz, Victoria Kimani. One Africa Music Fest is organised by Upfront and Personal Global Management Consultants (UPGMC). The event will take place at SSE Wembley Arena.